Ergonomic grip zone for added comfort. A highlighter for the 21st century! 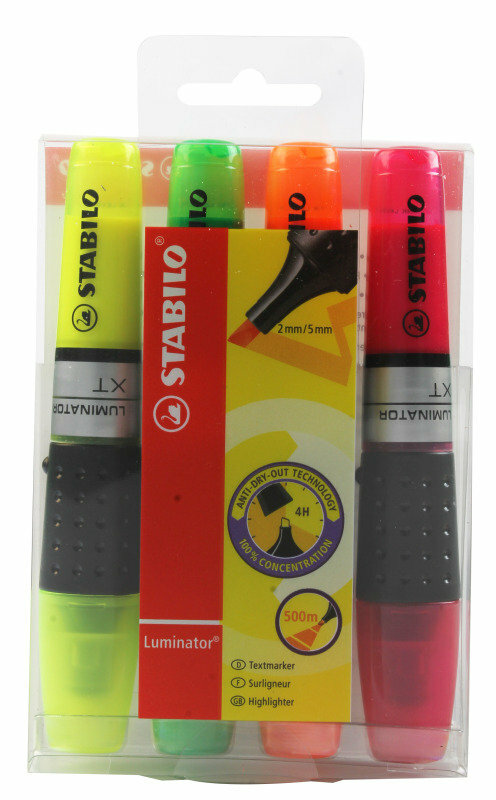 designed to look different, the highlighter has a unique patented construction which allows it to have a large ink supply with a visual ink system. Wallet of 4 assorted colours. 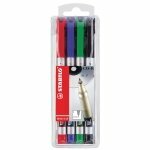 Permanent pen perfect for marking CDs and over 1000 different surfaces.